The IRS Large Business and International division (LB&I) has announced the approval of five additional compliance campaigns. LB&I announced on January 31, 2017, the rollout of its first 13 campaigns, followed by 11 campaigns on November 3, 2017, five campaigns on March 13, 2018, six campaigns on May 21, 2018, and five more on July 2, 2018. While LB&I continues to review legislation enacted on December 22, 2017, to determine which existing campaigns, if any, could be impacted as a result of a change in the law, it is moving toward issue-based examinations and a compliance campaign process in which the organization decides which compliance issues that present risk require a response in the form of one or multiple treatment streams to achieve compliance objectives. This approach makes use of IRS knowledge and deploys the right resources to address those issues. These five additional campaigns were identified through LB&I data analysis and suggestions from IRS employees. LB&I's goal is to improve return selection, identify issues representing a risk of non-compliance, and make the greatest use of limited resources. Public Law 115-97 repealed the Domestic Production Activity Deduction (DPAD) for taxable years beginning after December 31, 2017. This campaign addresses all business entities that may file a claim for additional DPAD under IRC Section 199. The campaign objective is to ensure taxpayer compliance with the requirements of IRC Section 199 through a claim risk review assessment and issue-based examinations of claims with the greatest compliance risk. This campaign is intended to encourage taxpayer compliance and ensure consistent treatment of similarly situated taxpayers by ensuring the easement contributions meet the legal requirements for a deduction, and the fair market values are accurate. This campaign addresses compliance on two of the largest deductions claimed on Form1120-F U.S. Income Tax Return of a Foreign Corporation. Treasury Regulation Section 1.882-5 provides a formula to determine the interest expense of a foreign corporation that is allocable to their effectively connected income. The amount of interest expense deductions determined under Treasury Regulation Section 1.882-5 can be substantial. Treasury Regulation Section 1.861-8 governs the amount of Home Office expense deductions allocated to effectively connected income. Home Office Expense allocations have been observed to be material amounts compared to the total deductions taken by a foreign corporation. In some cases, individuals working at foreign embassies, foreign consular offices, and various international organizations may not be reporting compensation or may be reporting it incorrectly. Foreign embassies, foreign consular offices and international organizations operating in the U.S. are not required to withhold federal income and social security taxes from their employees’ compensation nor are they required to file information reports with the Internal Revenue Service. 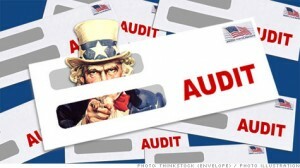 Being Audited by the IRS ?